Australian researchers have been given a $10m grant to target space junk. NASA image. SCIENTISTS in Australia say they have begun work on a project that will see lasers fired from Earth to blast away the thousands of tonnes of space debris orbiting our planet. Though it sounds like a plan taken straight from science fiction, researchers at the Australian National University (ANU) have been given a very real grant of $20 million. Alongside $40 million of private investment, it will allow the team to set up as the Cooperative Research Centre (CRC), a state-of-the-art observatory building lasers which will initially track tiny piece of debris. The ultimate goal of actually destroying some of the estimated 300,000 pieces of orbital rubbish could be working within the next 10 years, said Matthew Colless, director of ANU's Research School of Astronomy and Astrophysics. "It's important that it's possible on that scale because there's so much space junk up there," he said. "We're perhaps only a couple of decades away from a catastrophic cascade of collisions ... that takes out all the satellites in low orbit." 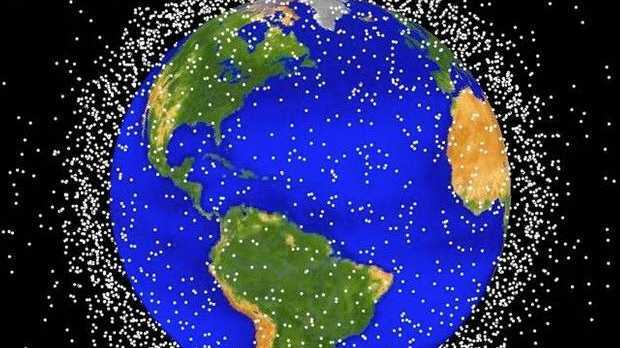 Scientists say the debris around the Earth is made up of everything from tiny screws and bolts to large parts of rockets, mostly moving in low orbits at tremendous speeds. The growing mass of rubbish accumulating around the planet has led to calls from Nasa for urgent action, and public concerns around events like those depicted in the 2013 Hollywood movie Gravity. Sandra Bullock and George Clooney in Alfonso Cuaron's Gravity Sandra Bullock and George Clooney in Alfonso Cuaron's Gravity Australia now has a contract with Nasa to track and map this junk with a telescope and laser at the Mount Stromlo observatory near Canberra. Speaking about the risks involved in plans to zap chunks of debris so they burn up harmlessly in the upper atmosphere, Colless said: "There's no risk of missing and hitting a working satellite. We can target them precisely. We really don't miss." Colless said he envisages the eventual need for a global network of stations set up under international auspices but, that right now the CRC is doing the research to make it possible.